The first European commercial vehicle fitted with a turbo was created by BMW, and it was called BMW 2002 Turbo. A machine that saw the light thanks to the developments by BMW Motorsport on a turbo KKK, and that stood out for its additional wheel arch flaps in the body and the striking vinyls that decorated it. 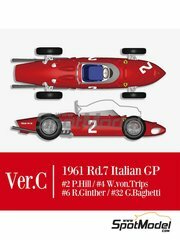 We are in luck because Hasegawa delights us with the 1/24 scale model of this classic. A splendid parts listing, including all the chromed parts, an extensive decals sheet, and the usual and perfectly fitting plastic parts. Your BMW 2002 Turbo is waiting for you at SpotModel !! 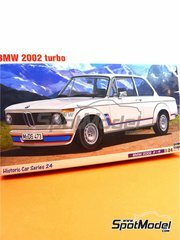 Second round of the interesting BMW 2002 kit from Hasegawa, now in its turbo version. 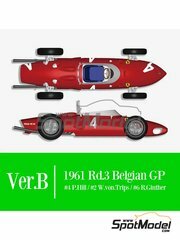 Includes the wheel arcs, rims and decals necessary for you to assemble this interesting variant. 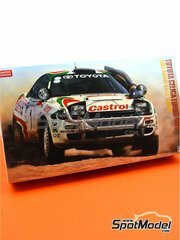 For a long time we were looking forward for Hasegawa to remanufacture this version of the Toyota Celica, with the winner decoration of the 1993 Safari Rally. The extensive parts list includes all the special details of the Safari version, including from defenses, engine snorkel, auxiliary lights, etc. New re-edition of the Subaru Legacy RS with the winning decoration of the New Zealand Rally. 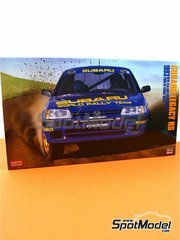 The kit includes photoetched parts and decals for two different rallies. 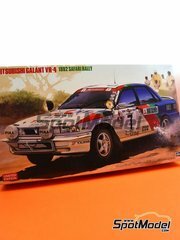 Recently re-edited kit by Hasegawa recreating the Safari version of the Mitsubishi Galant VR-4. The box contains the usual plastic parts and a set of photoetched parts that will help you to give even more realism to your build. It does NOT include tobacco sponsor logos. 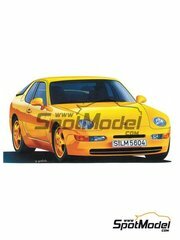 Here is the limited time re-edition of the Sport Club version of the Porsche 968 by Hasegawa. 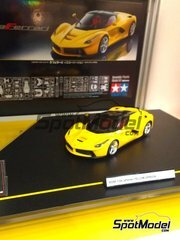 The kit includes a detailed engine and body parts injected in yellow plastic. 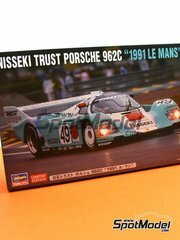 Nothing less than the Porsche 962C that raced at Le Mans in 1991, recreated by Hasegawa, and sponsored by the Trust Racing team. 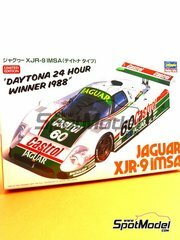 Nothing less than the gorgeous Jaguar winner of the 24 hours of Daytona in 1988. 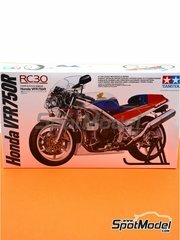 One of those kits that builds itself, as it does not include engine or complicated parts. Perfect for a weekend assembly! New version of the Lancia Delta HF Integrale 16v, sponsored by Martini, racing at the Sanremo Rally. 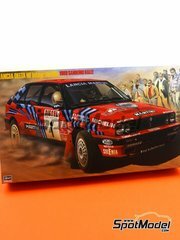 The version included in the box recreates the Lancia Delta without the rear spoiler or the venturi ventilation devices on the front wheels. 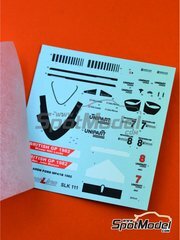 The kit includes photo-etched parts and fabric material for seatbelts belts and rear mud guards. 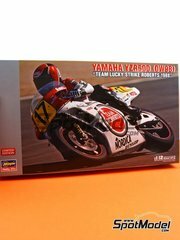 Time-limited reedition of the model released to the market by Tamiya some time ago, and for many of us THE BIKE par excellence. An authentic thoroughbred designed by Honda RC, born only to comply with the World Superbike Championship homologation rules of the time, but that ended up being a sales leader despite its exorbitant price. Just think about building that rear mono swingarm with the real wheel fully naked... doesn't make your hair rise? 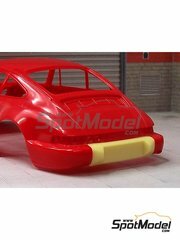 Resin part to convert the rear bumper to the RS version of the Porsche 964. 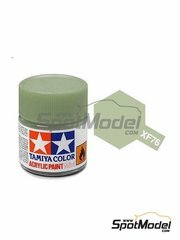 Excellent acrylic paints for both brush and airbrush painting. 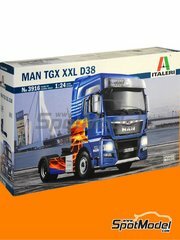 A fantastic kit by Italeri of the Man TGX XXL Euro 6. 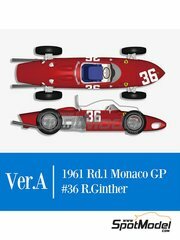 It includes an extensive sheet of decals, detailed cabin, and the usual Italeri parts listing. 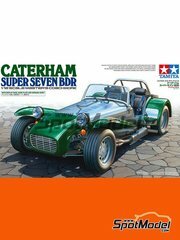 Limited time reedition of the Caterham Super Seven with BDR engine that we were all waiting for. 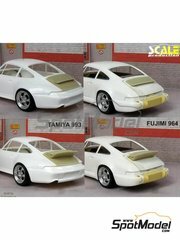 The model includes metal parts, an additional base, and an extensive plastic parts listing, all with Tamiya's classical excellence. Tamiya took great care in designing this scale model car in 1/24 scale, visiting the Ferrari factory in Maranello (Italy) and Modena, accurately reproducing every detail so the most meticulous modeler knows he's making the most accurate model of the LaFerrari possible. Featuring fully detailed engine, decals, paint masks and nylon mesh for recreating front and side air intakes. 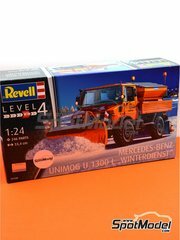 Time limited re-edition of the gorgeous Mercedes-Benz Unimog U1300L snow truck. 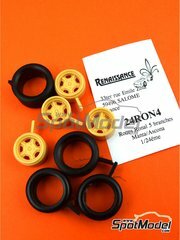 The kit includes several decorations from different European countries. 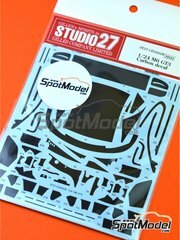 Set of carbon fibre pattern decals for improving the looks of the M6 GT3 model by Platz. Absolutely essential!!! 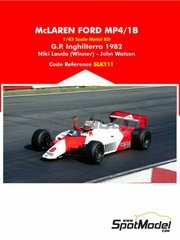 Gorgeous scale model of the McLaren Ford MP4/1B, recreated in white metal with Tameo's usual top quality and including photoetched parts, which will undoubtedly make you enjoy a perfect assembly.